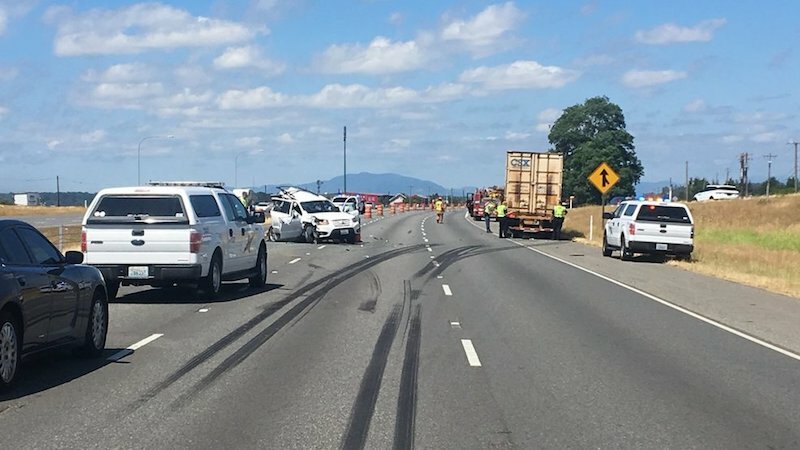 One person was killed in a collision involving a semi truck and two cars on Interstate 5 near Conway in Skagit County, according to the Washington State Patrol. 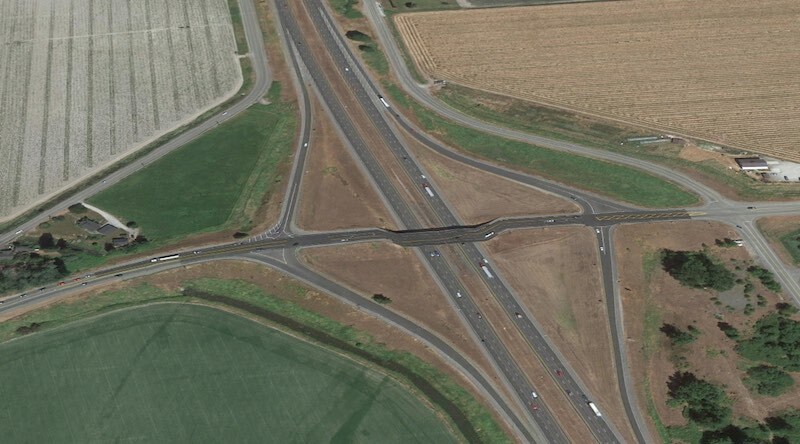 The incident occurred in the northbound lanes of I-5 near the State Route 534 interchange at about 1:15 p.m. A semi truck failed to stop for traffic that had backed up near a construction zone. The semi rear-ended a car, causing it to crash into the vehicle in front of it. The driver of the vehicle hit by the semi was killed. A passenger in the same vehicle was seriously injured. The driver of the other vehicle was also injured. The collision resulted in a four-mile backup. All lanes of traffic are closed indefinitely. After an accident involving a semi truck or other commercial vehicle, it’s key that victims and their families consult with an attorney right away. Time is truly of the essence. Seattle-based Davis Law Group, P.S., has recovered millions of dollars in compensation for semi truck accident victims. Founding attorney Chris Davis believes gaining access to the crash scene and witnesses as soon as possible plays a pivotal role in a successful resolution. To read more about how attorneys investigate semi truck cases, click here. Who Can Be Held Liable For Injury In A Semi-Truck Accident? What Are the Most Common Causes of Semi-Truck Accidents? How Do I Determine If I Need A Semi-Truck Accident Lawyer? Damages in semi truck accident cases are often high. Davis Law Group has helped victims over the years recover financially after these life-altering events. $2 million settlement for semi truck crash victim: Mr. Davis successfully negotiated a settlement of more than $2 million for a young man who was seriously injured after his vehicle was struck by a semi-truck on Interstate 5 in Seattle. Read more. $1 million settlement for victim with broken leg: We recovered a $1.06 million settlement for our client who suffered a broken leg and also contracted MRSA after being injured in a motor vehicle collision. The defendant's insurance company attempted to blame our client for the crash. Read more. $857,000 settlement for woman injured in semi crash: Our attorneys successfully negotiated a settlement of $857,000 for a mother injured in a semi truck collision. Read more. $775,000 settlement for victim with fractured neck in truck crash: Insurance adjusters initially offered only $400,000 to pay for our client’s medical bills. With the help of Davis Law Group, that offer was increased by more than $300,000. Read more. If you would like to discuss your truck accident case with our firm, please feel free to contact us anytime. We can provide a free case evaluation and explain the whole process. If we take on your case, we won’t charge you any legal fees or costs – including the costs of an investigation – unless we obtain a financial recovery for you. 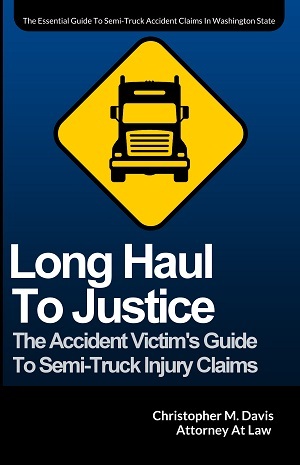 Get your complimentary copy of "Long Haul To Justice: The Accident Victim's Guide To Semi-Truck Injury Claims" absolutely free by clicking the "Order Now" button below. Award-winning semi-truck accident attorney Chris Davis has written a series of FREE books, including one about commercial vehicle accident cases in Washington state. These books answer common legal questions that people and their loved ones may have about their legal rights, including how to handle your claim on your own and when you might need an attorney's help. The Washington Accident Books™ is a collection of books, reports, and other materials designed to educate the public about the nature of accidents and the legal rights of injury victims. The Washington Accident Books™ were created as a public service for Washington state residents and is sponsored by award-winning author and attorney Chris Davis of Davis Law Group, P.S. Attorney Chris Davis is the founder of Seattle-based Davis Law Group, P.S.